I recently interviewed Caroline O’Connor for a major feature on how to perform the work of John Kander and Fred Ebb in The Singer magazine. At the time, she was touring in Chicago in Australia, clearly having a whale of a time as brittle Velma Kelly – “Like a cat falling down the wall, clawing at it just to hang on,” as she described the character – and eager to speak about the impact the work of these titans of musical theatre has had on her successful career. 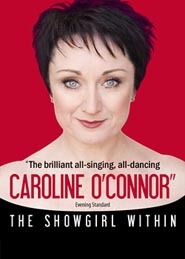 Caroline was born in the UK – in Oldham, in fact, a town that has produced its fair share of theatrical talent over the years – but her family moved to Australia when she was still a small child, and ever since she has split her professional life between the two countries, with the occasional Broadway foray thrown in for good measure. Thanks to the big Chicago revival and other successful projects, Oz has had by far the better deal during the last couple of years. So with all due respect to her fans down under, the news that Caroline is bringing her new one-woman show, The Showgirl Within, to London (at the Garrick Theatre from 27th September) means that for a little while at least, we can reclaim this firecracker of a star for our own. Her “Broadway Baby” at the Stephen Sondheim Prom gave a taste of the dynamism we can expect from the show. But it would be a huge surprise if Kander and Ebb didn’t loom equally large in the programme. In the Singer article, Caroline shared centre stage with a host of other musical theatre luminaries, including her heroine Chita Rivera, Karen Ziemba, Joel Grey and Brent Barrett. As a result, I could only use a fraction of the insight and enthusiasm she provided over the course of our interview. So the impending arrival of The Showgirl Within is a great excuse for sharing the conversation in full. Here it is. Sally Bowles is so iconic among the great female musical roles that even understudying the star in the faint hope that you might get on for a matinee once in a blue moon is too good an opportunity for a young actress to miss. That was certainly Caroline O’Connor’s view in 1986 when, towards the end of her stint in the chorus of Me and My Girl, she was cast as a Kit Kat girl in Cabaret with understudy duties. It required all her pleading and acting skills to earn an early release from her contract to take the job. “I was dance captain on Me and My Girl, so I had to go and beg my boss to let me go,” she says. “I think I shed tears, even! I said I’d train my replacement without any pay, I wanted the Cabaret job so badly. I’ve never been so excited in my life, being cast in something, because of its reputation. Gillian Lynn was directing, and of course she was so well known at the time because of Cats. Anyway, I was able to take it, and we took the show on the road then took it into the Strand Theatre. Nobody who plays Sally is immune to the shadow cast by Liza Minnelli’s Oscar-winning performance in the film, an experience that gave Caroline her first hint of how fixed some audience’s preconceptions can be. That little baptism aside, Caroline is quick to nail the old cliché that Americans don’t get irony – particularly when it comes to Kander and Ebb. “You read their shows and listen to them, and think that these are two people who really understand irony and are able to include it in their work. That tongue-in-cheek referring to the general public – as the Emcee does in Cabaret, and Billy Flynn and all the other characters do in Chicago. They look at the audience and they’re saying, ‘You know what I’m talking about.’ It’s quite incredible. Casual theatre-goers are often surprised to discover that the creators of Cabaret were also responsible for Chicago, and a host of other great work besides. For Caroline, there is always great satisfaction in spreading the word, particularly when it comes to their lesser-known pieces. She first met them in person during the short-lived 1988 production of The Rink at the Cambridge Theatre, where she was understudying Diane Langton in the role of Angel. Caroline was fascinated by Kander and Ebb’s approach to the London production. They weren’t interested in resting on the laurels of The Rink’s Broadway success. “What was extraordinary was that they wanted to cut a number at the end called ‘All the Children in a Row’, which I think is a brilliantly written song,” she says. “And Diane Langton had to pretty much audition to have it kept in the show. They wanted to write something new, and [director] Paul Kerrison was so determined to keep it in that he asked Diane to sing it for them, give it everything she’d got. Which made it really interesting – to think that these writers, who were so brilliant, questioned their work and thought maybe it wasn’t quite right. For me all the other stuff was great fun, there were great moments to sing but as a performer, to go out and do that song is so exciting, because it’s like telling the most wonderful story. I remember sitting in the stalls watching this happen and thinking, Oh my God, they’re really not sure. And they’re willing to say no, let’s do something else. Caroline says Kander and Ebb’s work places unique demands on the performer. The choreography, so much of it devised and influenced by the great Bob Fosse, means that you are rarely simply singing a number. Your whole body and imagination is engaged. And it takes a certain calibre of artist to bring that to the stage. “When you look at the sort of people that were cast in their shows for so many years, the quality of their work, what they can do, their versatility, and not just that they can dance a little or belt or whatever, you can tell what’s required,” she continues. “If you can execute a Kander and Ebb show eight times a week for a long period of time, then you should give yourself a little pat on the back. It’s quite demanding and compared to some other shows – especially the elements that Bob Fosse brought with Cabaret and Chicago – It’s a big ask. Caroline tells a couple of poignant stories about sharing the bill with Rivera that encapsulate the ripples of respect and love generated by association with the creators of great work. “We were rehearsing Chicago at the Ambassadors Theatre and I did “Velma Takes the Stand”, so I’d just watched Chita do “All That Jazz”. Just hearing that voice that I’d listened to on cassette since about 1978 for real was incredible. And after I’d finished I was walking around the back of the auditorium and she called me over with her finger – ‘Come here!’ and I walked towards her, and she said, ‘I would love to teach you the original choreography.’ I couldn’t believe it, it was such an incredible compliment because she thought I could do it. It was so exciting. And you can see why Kander and Ebb wanted to work with people like her, because they could bring out the best in their work. Caroline has played both Roxie Hart and Velma Kelly during her career, but it’s brittle, complex Velma who has occupied her most recently, as she returned to a role she last performed in 1998. “I took it as a compliment that they didn’t change the choreography!” she laughs. “But we’ve been doing a long run, more than 30 weeks. Physically it’s demanding – because of Fosse’s influence. It’s a totally different style of dance, an incredibly particular way of performing. It’s not just the physicalisation of doing the moves, it’s the intensity and style, and it’s quite tiring. “When you’ve had a ballet background [Caroline’s early ambitions were classical], all of a sudden your muscles hurt in a different way. You get pains in an area that if you were doing a de Mille or Jerome Robins choreography, wouldn’t be the same. Sometimes they can be very large movements, sometimes tiny gestures that say a 1000 words. And just the intensity of that, moving one finger, can be exhausting. And there are all these people who keep the bible going: ‘No, you don’t move the whole wrist, just circle the finger.’ The concentration that goes into that is really ridiculous but it just goes to show how much impact it has, for the performer to execute it and the audience to appreciate it. “And it’s not like singing “If You Knew Suzy”. It’s pretty full-on, big belting numbers and intensity. Having to be the character up front, not just singing a lovely soprano song and sounding sweet and pretty. You have to give it everything you’ve got, every ounce of intention – if you’re fighting for your life as in “I am my Own Best Friend”, you’re fighting for supremacy. The audience has to leave at the end of Act One thinking, I wonder who’s going to win. Caroline says a long run in a show like Chicago brings its own rewards, and she has never tired of it. 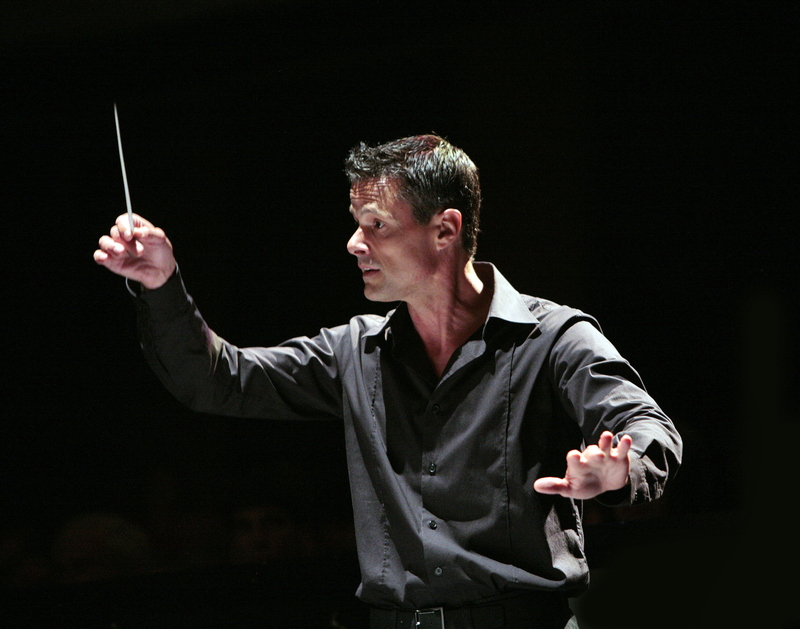 “The piece is so powerful, I’ve never been bored with it, because the audience isn’t. And you feed off the audience. I do make sure that I remind myself every night how lucky I am to be able to do it, and that I’ve got everything to lose. Because the character of Velma is interesting. Her journey goes downhill. She’s like a cat falling down the wall, clawing to hang on, before she comes back up at the end. I just remind myself that my job is to tell that story and it’s easy because of the quality of the work. There was never going to be any doubt about the warmth of the reception for Stephen Sondheim when, as eagerly expected, he approached the stage at the culmination of the 19th BBC Prom in this year’s season, conceived to celebrate his 80th birthday. But even he, with his customary humility on these set-piece occasions, must have noted the length of the ovation. The atmosphere in the Royal Albert Hall is unique when the audience rises en masse to greet its heroes, and here was London’s chance at last to salute in person this great “playwright in song” (his words, but who could put it better?) in a year packed with performances and festivities to mark this staging post in his life. Every element of the preceding concert had been brilliantly layered to heighten expectation and nudge up the myriad emotions of the 5,000 or so Prom-goers gathered to honour the composer. And nobody disappointed, least of all the stirling BBC Concert Orchestra with Sondheim specialist David Charles Abell on the podium, revelling in the chance to take some of those famously complex melodies away from the limitations of the pit and, in returning to the original orchestrations, allow them to breathe with new freedom as they soared out across the heads of the promenaders. In an evening studded with delights, there were two strokes of genius. The first was to partner the great British actor Simon Russell Beale with Daniel Evans – surely one of the finest ever male singers of Sondheim – for the opening number, “Invocation and Instructions to the Audience”, from The Frogs. His comic timing was a joy, and his on-stage rapport with Evans struck sparks. As the evening went on, each of his subsequent appearances (not least in a sublime rendition of “Everybody Ought to Have a Maid”, when he and Evans were joined by a soft-shoe shuffling Julian Ovenden and, gloriously, that well-known twinkletoes Bryn Terfel) should have had producers wracking their brains for revival ideas to showcase this hitherto unexplored side of his career. What a fabulous Buddy he would make in Follies. The other moment of genius occurred at the start of the second half when Roderick Elms sounded the first eerie chords of the Prelude from Sweeney Todd on the Albert Hall’s resonant, awe-inspiring organ, and a collective thrill of uneasy delight shuddered down the spines of the audience. There can be no more purposeful passage in musical theatre; it took me all the way back to Drury Lane in 1980 when, from a seat high in the Gods, I was terrified out of my skin by the shrill blast of that factory horn and the mesmerising, darkly funny tale of revenge that followed. Evans was quite brilliant in revisiting his success as George, reviving his partnership with Jenna Russell’s Dot for two numbers, “Sunday in the Park with George” and “Move On”. There was also a stellar turn from Caroline O’Connor, back in London after a long tour of Chicago down under, and all set to bring her one-woman show to the Garrick in September. Her “Broadway Baby” was sassy and smart, with just the right hint of desperation. And so what if Judi Dench’s “Send in the Clowns” was slightly more wracked than of yore? This best known of Sondheim’s entire-plays-in-a-single-song has never been in better hands and nobody, apart from the maestro himself, was received more warmly by the assembled masses. The ensemble numbers were triumphant, even allowing for the limited stage room – The Proms Sondheim Ensemble provided well-rehearsed support, losing just the odd word here and there – and “A Weekend in the Country”, another offering from A Little Night Music sent us spinning out to the bars for the interval, full of anticipation for what was to come. Julian Ovenden and Maria Friedman had already joined forces for a touching “Too Many Mornings” but both really came into their own in the second half: Friedman with Bryn Terfel, making the case yet again for a full-scale revival of Sweeney Todd with these two in the starring roles as they devoured “A Little Priest” with divine timing and characterisation; and Ovenden with “Being Alive”, another of Sondheim’s great ballads, in which he conveyed utterly Bobby’s conflicted state of mind in Company. The real lump in the throat moment came, however, Glee-style with “Our Time” from Merrily We Roll Along, delivered by soloists and a chorus from the BBC Performing Arts Fund. They brought this touching, optimistic pop song to life with charming simplicity, setting us up for the tumultuous affirmation of “Sunday” and – the only time when on-stage proceedings looked a little ragged, but who could be blamed when all eyes were trained on the steps to the right, where a flurry of activity signalled the imminent appearance of the man of the moment – finally, “Side by Side by Side”. It was the only way to end an evening that will live long in the memory, and the artists seemed as reluctant to leave the stage as the audience was to wave goodbye to the modest figure who was responsible for everything they had been listening to.